Tribal bags: Kourtney Kardashian gets it RIGHT! Thank you to the lovely TT reader Ruth who brought this one to my attention - No, It's not Kourtney Kardashian with a Table Tonic Tribal bag, but it might as well be (I wish!). I think she looks super cute here in (American gossip mag) Life & Style, carrying a beautiful Simone Camille tote (which retails for over USD$2000!). Yes, but my point is this - tribal anything is still hot hot HOT! 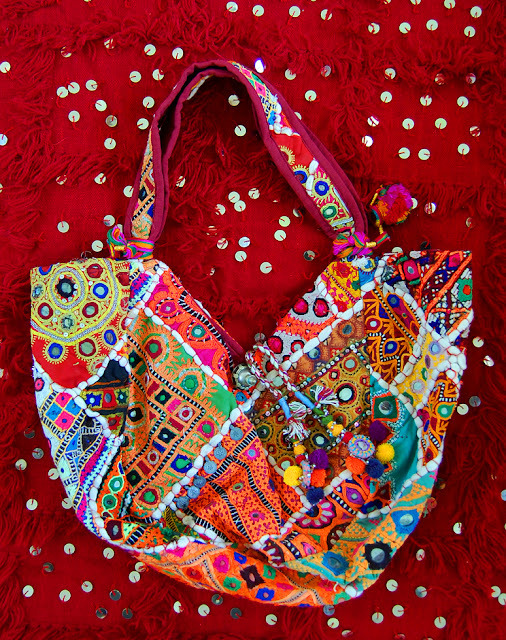 (above) "Josie" Embellished Vintage Indian Tribal bag, $339, Table Tonic. What's up, this weekend is nice for me, as this point in time i am reading this enormous educational post here at my house.